I developed this project for my tech talk at the 2011 PyDay conference. 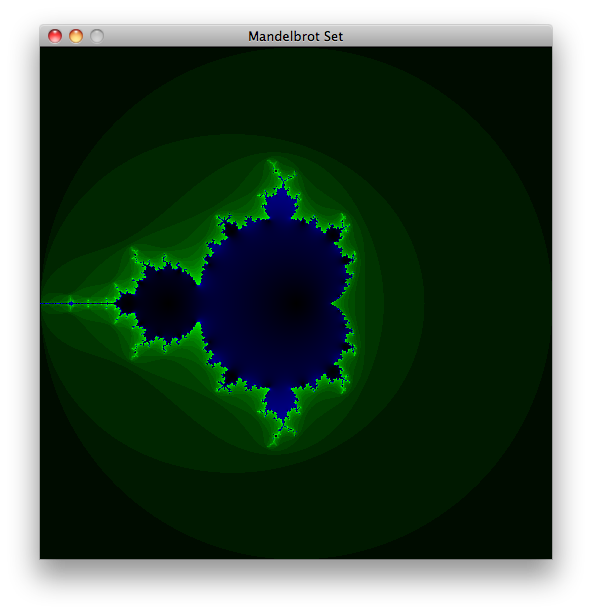 It consists primarily of a Python script and a companion C library that calculates and draws the Mandelbrot set. The objective of the tech talk was to show how to speed up Python programs using the power of native code, and all the source code is available for free in GitHub! 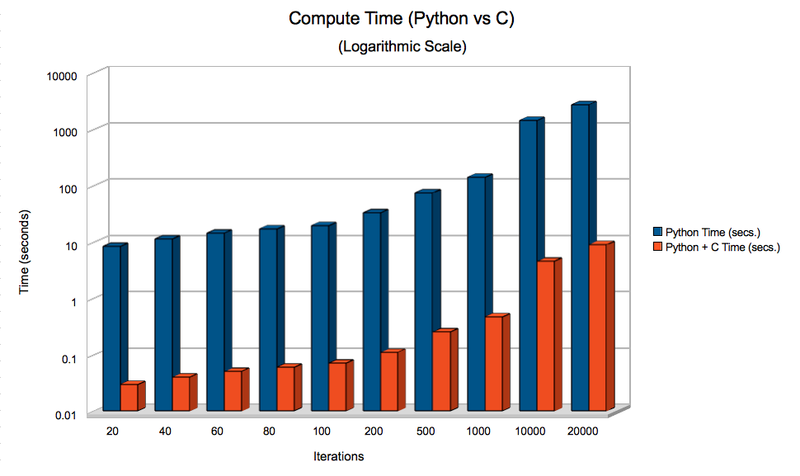 What’s interesting about this program is that, although its core is written completely in Python, I made two compute backends for it: one in Python and one in C. The C code is interfaced with using the ctypes module.